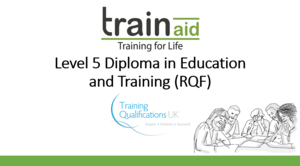 The Online Level 5 Diploma in Education and Training has been designed for learners to remotely gain teacher status in the post 16 sector. It replaces the old DTLLS course, but it is in a very similar format. It is a reflective practice course, encouraging learners to evaluate on their current teaching practice. You will be encouraged to reflect on your teaching styles and the resources you implement. The course is designed for anyone currently teaching that is looking to achieve teacher status in the post 16 sector. The teaching hours you log as part of your practical evidence can come from the primary, secondary or post 16 sector. They can also be in a paid or voluntary role. On the theoretical side you will investigate key theories of teaching and learning, linking them to your own teaching. You will learn the importance of detailed planning and exactly what should be considered in this stage of the teaching cycle. You will also examine the need for ongoing assessment and the various techniques for monitoring the progress of your learners. You will carry out an action research project, identifying a current issue in your teaching role and developing a strategy to improve this issue. In addition you will be given feedback for your 8 hours of lesson observations, highlighting your strengths and the areas you need to develop.